What is considered wrongful termination, also known as a wrongful dismissal? Most states consider employees to be working “at will,” meaning an employer can terminate a worker without any notice or providing a reason. In the absence of an employment contract or collective bargaining arrangement, the discharge is considered wrongful termination. A fired employee may not be eligible for compensation, unemployment or otherwise, and a fired worker should speak to the local state unemployment office. If denied, the worker may appeal the decision and have the opportunity to explain the events around the wrongful termination. The burden is on the employee to prove they were wrongfully terminated. Only factual information is considered, and both parties have the opportunity to present their case. There are many reasons an employer can list for terminating a worker. Since employment relationships are presumed to be at-will, an employer may fire a worker with or without reason — as long as federal or state law isn’t violated. If an agreement is in place, this could create an exception to the at-will working relationship. A contract promising job security is an indication an employee is not an at-will worker. A contract may say an employee cannot be terminated without sufficient cause. A written job offer could include commitments about permanent employment under specified conditions. The only thing worse than losing a job is losing it for no reason — or for an illegal reason. There are laws to permit employees to seek redress in the face of an illegal firing. If you don’t know why you’ve been fired, ask. The boss’s answer could be revealing. The employer’s answer could also be a factor in deciding to file a wrongful termination suit — or not. Pay close attention to what the employer says and write down your interpretation of the conversation. Ask your employer to list the reasons in writing. Think about recording the conversation if doing so doesn’t violate privacy laws. Talk to an experienced lawyer right away. The law is complicated and there are often multiple factors which may hurt or help the chances of getting compensation. While labor laws differ between states, almost all states have an at-will employment policy. The law says an employer has the right to terminate a worker at any time without suffering repercussions. There are exceptions. Acquire evidence and documentation. 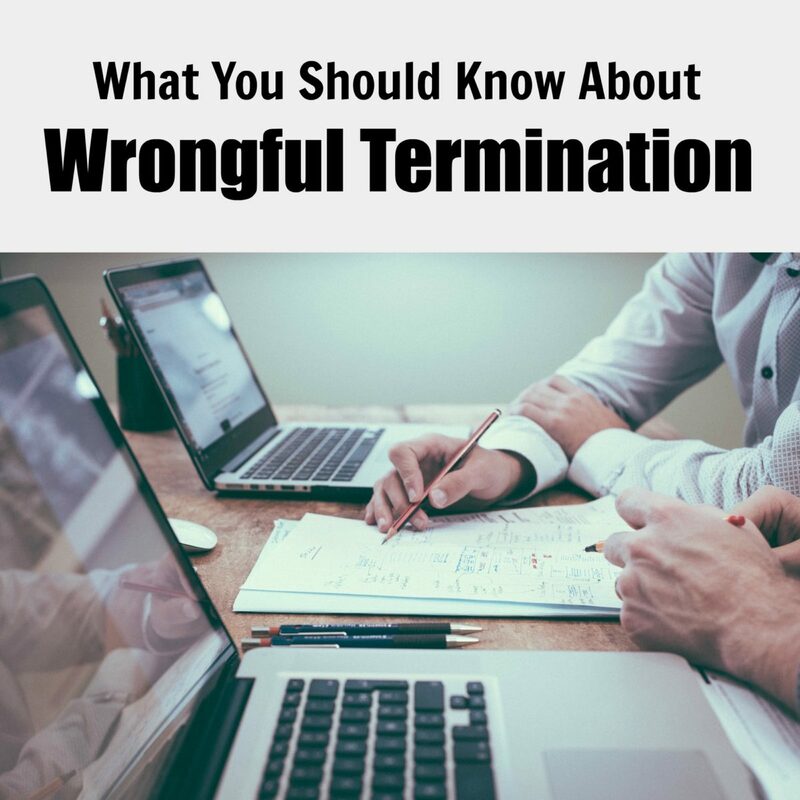 To win a wrongful termination suit, it has to be proven the employer fired you for an illegal reason. That requires solid evidence. Gather all correspondence between you and your employer — this should include emails, text messages and letters. Document performance reviews and request access to your personnel file. However, remember that your employer is not legally obligated to give you access, and obtaining it may require a subpoena. There are many things to consider before filing a lawsuit for wrongful termination. Be sure to speak with an experienced employment lawyer to understand what is considered wrongful termination.